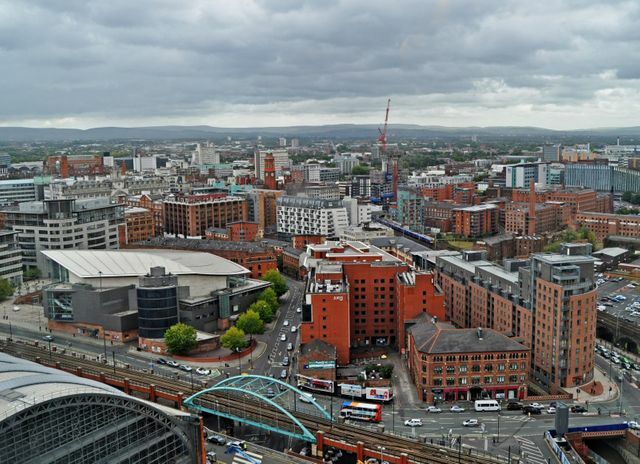 Greater Manchester Spatial Plan - out today! Finally, two years after the initial draft was rejected the Greater Manchester Spatial Plan (GMSF) is published today for consultation. When Andy Burnham tweeted 'thank god for that' he may or may not have been expressing relief about its completion. The GMSF is a 20 year strategic plan for the city region. It is in its second form after Andy Burnham opposed the first draft which had been consulted upon prior to his election. The Mayor viewed the initial plans to be 'unfair and disproportionate' and was critical about the loss of green space leading to communities quality of life being diminished. He stated as an objective that there should be 'the aim of no net loss of green belt'. The result of the Plan's re-write is that the number of new homes have been reduced by just over 13% to 201,000 apparently due to the initial allocation being excessive. With respect to the green belt there has been a reduction in sites being developed but there is clearly an inevitable loss of green belt but this loss has been halved. There are other amendments in the areas of improved transport and affordable housing which address criticisms made by the Mayor. For more details of the GMSF I highly recommend reading Jennifer Williams' reporting in the Manchester Evening News. Her commitment to detailed reporting together with its content in an era of click bait is excellent. It is a relief that we still have some proper local journalists still around. As a more general comment the GMSF offers an interesting challenge for the region. It was part of the devolution settlement and therefore the seeds of its existence and delay resided in the deal. In effect, the elected Mayor with a Westminster background has delayed and amended a plan which had been initially prepared by the Councils. The resulting quality of the GMSF will both be a test for the region and its ability to make a success of devolved powers as well as the elected Mayoral model that was foisted upon the local authorities as part of the devolution deals. It may result in a more considered plan, it could result in decisions which may be feeding a national agenda (i.e. the no fracking declaration) but once the plan is eventually finalised it needs to be implemented in the best way for the people of Manchester. The Greater Manchester Spatial Framework is a joint plan for Greater Manchester that will provide the land for jobs and new homes across the city region, setting out ambitious plans as we seek to make Greater Manchester one of the best places in the world.